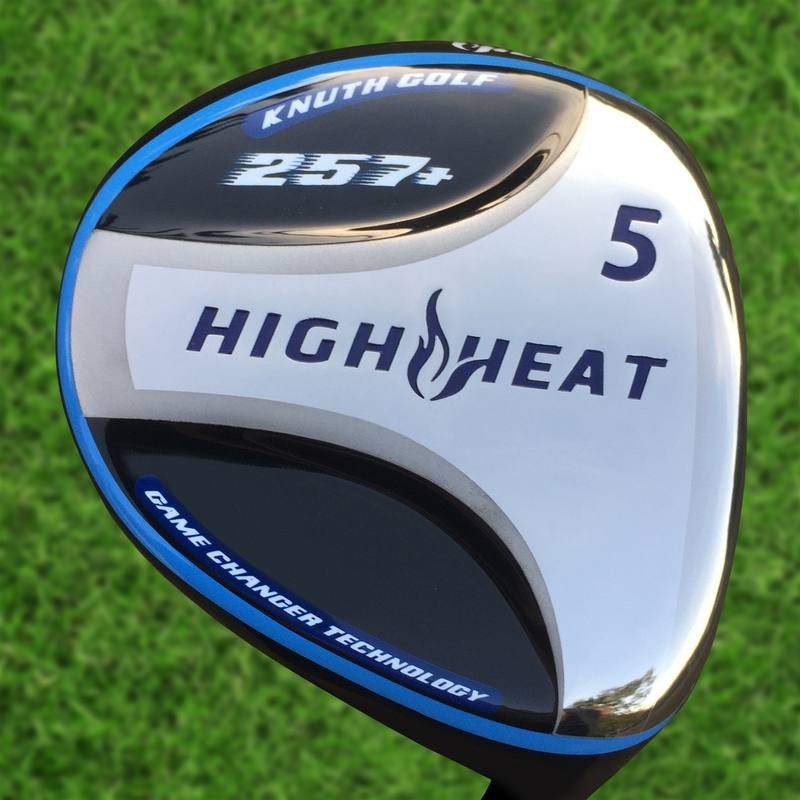 High Heat 257+ Fairway Woods were named "Best Fairway Woods" at the PGA Show with its 3-Trampoline Technology providing a CT higher in the toe and heel areas than the center of the face for 20+ yards more distance for the same distance across the face. High Heat 257+ named best metal woods at the 2018 PGA Show builds on the award winning High Heat fairway woods as being the easiest to get up high in the air and longer and more forgiving for more greens in regulation. These fairway woods provide significant increase in distance in the large toe and heel areas based on High Heat's 257+ 3 trampoline technology that increases the trampoline effect permitted by the change to the USGA's 2016 CT Rule in the toe and heel areas for even more distance on toe and heel hits and more greens in regulation and lower scores.